UNESCO, as enshrined in its Constitution, promotes the “free flow of ideas by word and image”, and is accordingly committed to enabling a free, open and accessible Internet space as part of promoting comprehensive freedom of expression online and offline. 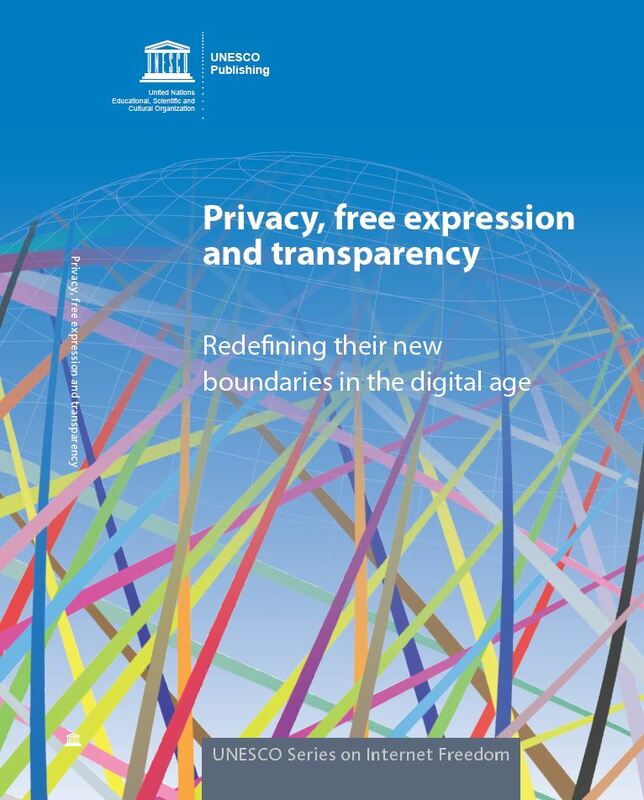 As mandated by the Organization’s 37th General Conference Resolution 52, UNESCO is also studying the Internet in its key competence areas of access to information and knowledge, freedom of expression, privacy, and ethical dimensions of the information society, and contains possible options for future actions. 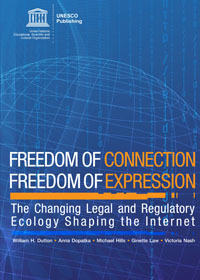 UNESCO has started in 2009 to commission this flagship series publications of Internet Freedom, aiming to explore the changing legal and policy issues of Internet and provide its Member States and other stakeholders with policy recommendations aiming to foster a conducive environment to freedom of expression on the net. The series seek to capture the complex dynamics of global Internet governance and present the key outcomes of edge-cutting studies conducted by leading experts in a wide range of crucial issues ranging from online freedom of expression, privacy, safety, hate speech to intermediaries liability and Internet governance principles. What if we all governed the Internet? In the Internet’s relatively short history, its governance has become somewhat synonymous with multistakeholder participatory mechanisms and approaches. It is these that have enabled the Internet to develop in relative autonomy from any single power centre or category of actors with an interest in capturing the network for exclusive benefit. But while some may take multistakeholder participation in Internet governance for granted as being inherent to the way in which the Internet was designed, the Internet is very different today than it was when it was created. As the Internet has become increasingly central to societies and economies, more stakeholders like governments have started jostling for greater involvement in Internet governance challenges. 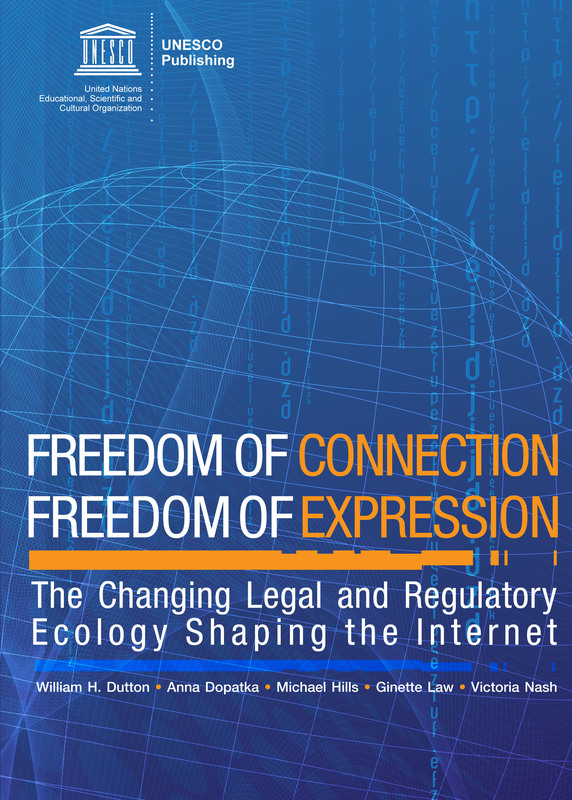 Some of the ways in which the Internet ecosystem has traditionally been governed now face strain; risking not only the benefits associated with such approaches, but also the universality, openness, and freedom of the Internet. The notion of multistakeholder participation in Internet governance is therefore not only in need of a realistic assessment, but it must adapt to meet new challenges as the Internet becomes more central to knowledge societies. Failure to address some of these challenges could have negative consequences for the future of the Internet and its ability to support sustainable development. 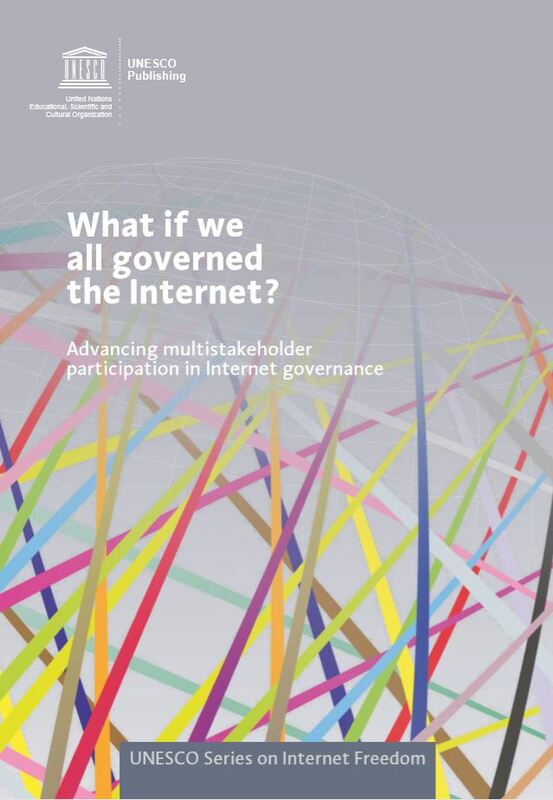 To strengthen UNESCO’s role in the field, this Study therefore provides the results of a comprehensive investigation of the evolution of multistakeholder participation in Internet governance in theory and in practice. “Media and information literate individuals are more empowered to make informed decisions about their privacy online and offline, among other things. Accordingly, governments and policy-makers who are committed to ensuring that the privacy of citizens is respected should also be committed to media and information literacy (MIL) for all. If they are not, then their efforts will be less sustainable. Equally, private and public enterprises that genuinely want to respect the privacy of citizens should purposefully contribute to MIL awareness among users qua citizens. Two research surveys are referenced in this report. The first, carried out by UNESCO, investigates youth attitudes towards MIL and social and democratic discourses. One of the seven themes addressed in the context of social and democratic discourses was privacy. 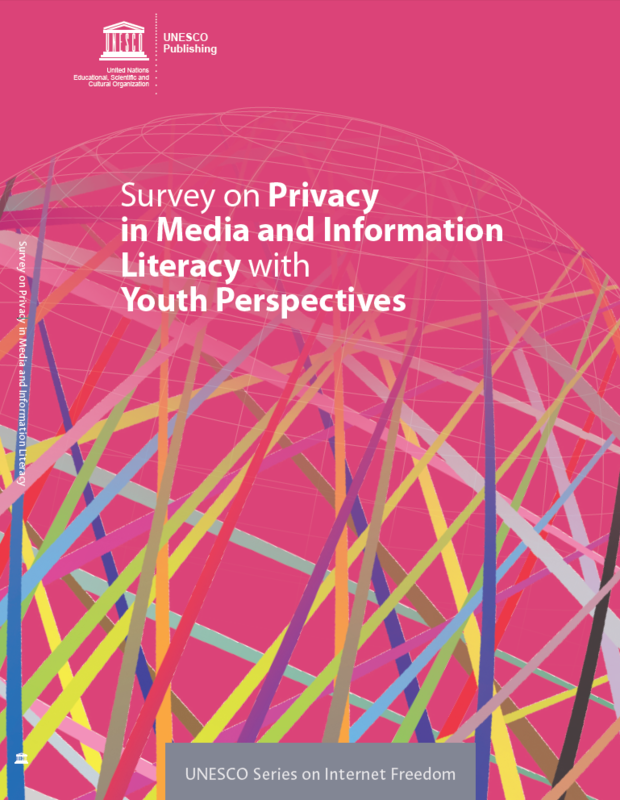 The second survey studied privacy in MIL courses globally and was conducted for UNESCO by the UNESCO-UNAOC University Network on Media and Information Literacy and Intercultural dialogue (MILID Network), and members of the Global Alliance for Partnerships in Media and Information Literacy (GAPMIL). 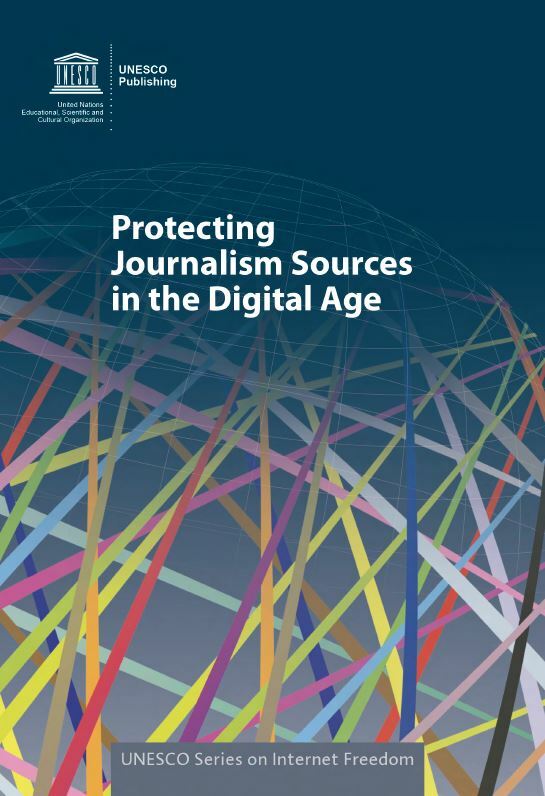 While the rapidly emerging digital environment offers great opportunities for journalists to investigate and report information in the public interest, it also poses particular challenges regarding the privacy and safety of journalistic sources. These challenges include: mass surveillance as well as targeted surveillance, data retention, expanded and broad antiterrorism measures, and national security laws and over-reach in the application of these. 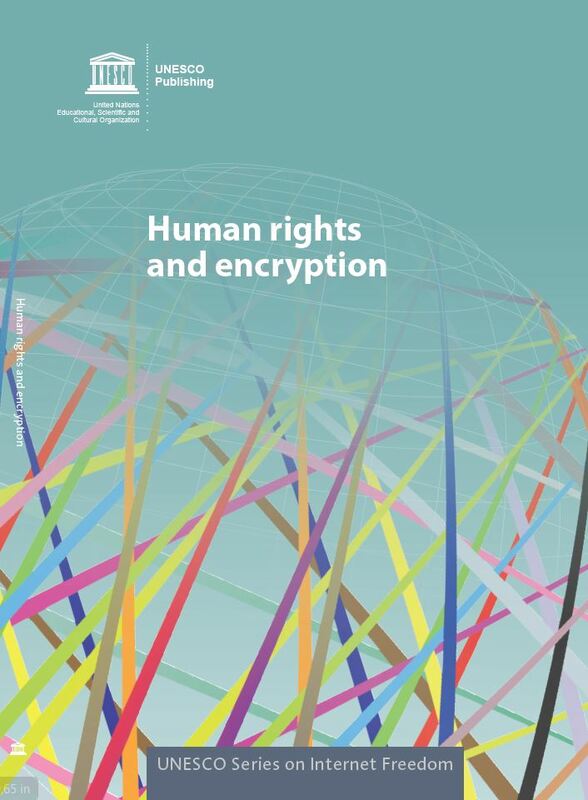 This publication examines the crucial challenges of balancing the fundamental rights to privacy and freedom of expression, and the related value of transparency, in an online context. Through an exploration of their boundaries and of the various modalities of reconciling and aligning these rights and values, the study analyzes the legal frameworks at play, specific cases, and interactions between multiple players. Built on the findings, it provides policy recommendations for key stakeholders. 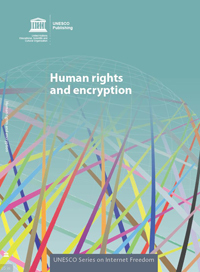 As the sixth edition in the UNESCO Internet Freedom series, this study encompasses both quantitative and qualitative assessments of more than 50 declarations, guidelines, and frameworks. The issues contained in these documents are assessed in the context of UNESCO’s interested areas such as access, freedom of expression, privacy, ethics, Priority Gender Equality, and Priority Africa, and sustainable development, etc. This publication shows that while each of the reviewed Internet documents has its own value, none of them fully meet UNESCO’s interests and mandate. The study proposes therefore the concept of “Internet Universality” as the Organisation’s own clear identifier for approaching the various fields of Internet issues and their intersections with UNESCO concerns. Internet Universality highlights the contribution that can be made by an Internet that is based on four principles, recognised by UNESCO governing bodies. An Internet developed on these principles would be: human Rights-based; Open; Accessible to all; and governed through Multi-stakeholder participation (summarized in the acronym R.O.A.M.). This concept has relevance to the Organization’s work in many areas – including online freedom of expression and privacy; efforts to advance universality in education, social inclusion and gender equality; multilingualism in cyberspace; access to information and knowledge; and ethical dimensions of information society. 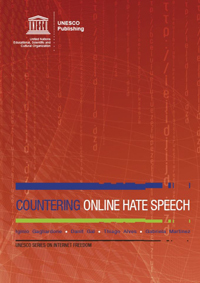 The study provides a global overview of the dynamics characterizing hate speech online and some of the measures that have been adopted to counteract and mitigate it, highlighting good practices that have emerged at the local and global levels. 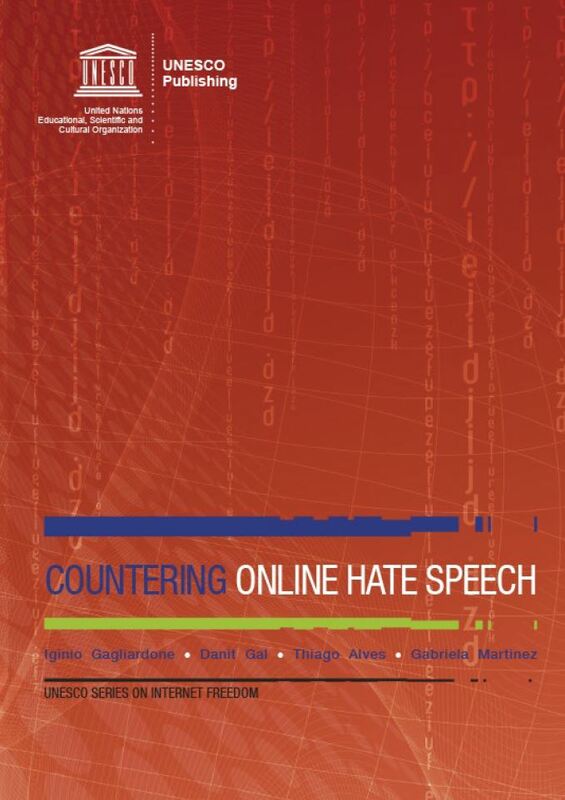 The publication offers a comprehensive analysis of the international, regional and national normative frameworks, with a particular emphasis on social and non-regulatory mechanisms that can help to counter the production, dissemination and impact of hateful messages online. This study covers a number of axes along which hatred can be constructed, but not necessarily the full range of social categories such as race, ethnicity, language group, gender, religion, sexual preference or nationality. It recognizes that, however defined, the notion of hate speech is not about abstract ideas, such as political ideologies, faiths or beliefs – which ideas should not be conflated with specific groups that may subscribe to them. Hate speech concerns antagonism towards people. The study further acknowledges that the biggest problems of hate speech online are currently in countries where there is high Internet connectivity. At the same time, this situation may portend similar developments elsewhere as more people become connected around the world. The study also registers that many of the responses which it assesses have evolved as reactions to cases of online hate speech. In this light, some of these experiences could be considered for adaptation proactively and early-on, rather than only after the emergence of the problem. The purpose of this study is to seek broader lessons from a range of empirical situations. 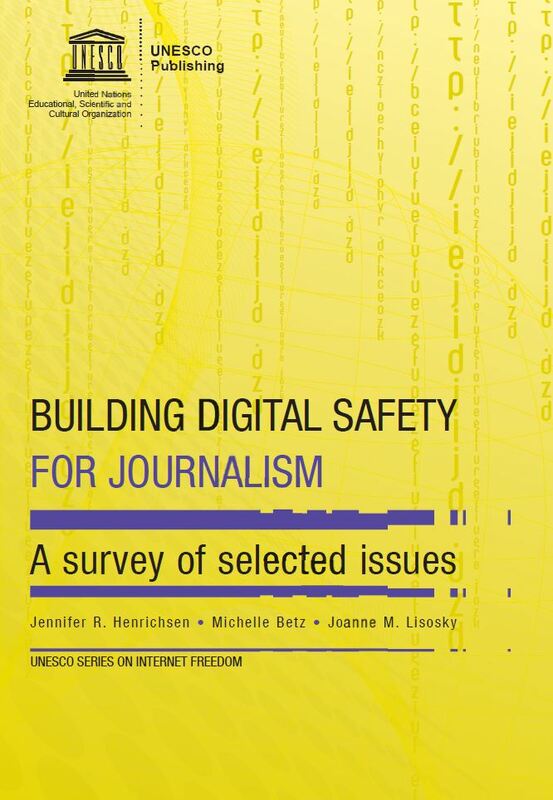 This fourth edition in the UNESCO Series on Internet freedom analyses 12 key digital threats to journalism, ranging from hacking of journalistic communications, through to denial-of-service attacks on media websites. It takes an inclusive approach that is relevant to any actor who is in danger of being targeted for doing journalism. Indeed, many points made are also of direct relevance to human rights defenders in general and to people who are sources for journalists. In examining cases worldwide, this publication serves as a resource for a range of actors. In a nutshell, it surveys the evolving threats, and assesses preventive, protective and pre-emptive measures. 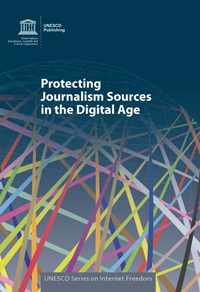 It shows that digital security for journalism encompasses, but also goes beyond, the technical dimension. The publication also gives an overview of actors and initiatives working to address digital safety, as well as identifying gaps in knowledge that call for awareness-raising. Recommendations are made for governments, journalism contributors and sources, news organizations, trainers, corporations and international organizations. It is underlined that digital security training needs to go beyond technology to empower journalists with knowledge the UN Plan of Action on the Safety of Journalists and the Issue of Impunity, as well as key resolutions passed within the UN system. The holistic approach to training proposed by the report covers the importance of including pyscho-social considerations in any courses. 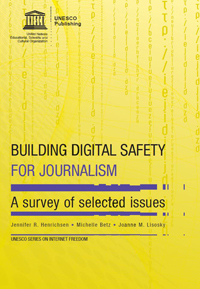 A chapter on gender in the study assesses how women journalists are especially targeted by digital threats. Freedom of expression is a universal human right that applies equally to the internet as to the offline world. 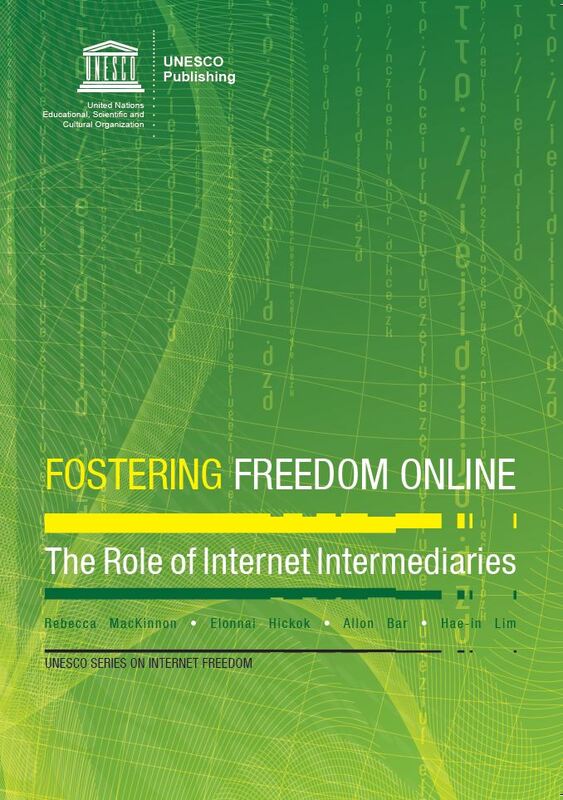 The goal of this report, the third in UNESCO Series on Internet Freedom, is to shed light on how Internet intermediaries – services that mediate online communication and enable various forms of online expression – both foster and restrict freedom of expression across a range of jurisdictions, circumstances, technologies, and business models. 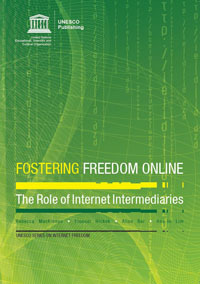 With the rise of Internet, intermediaries that play a mediating role on the internet between authors of content and audiences, UNESCO took a joint initiative, with the Open Society Foundations, the Internet Society, and Center for Global Communication Studies at the University of Pennsylvania’s Annenberg School for Communication, to examine this recent historical phenomenon and how it impacts on freedom of expression and associated fundamental rights such as privacy. The report’s authors have studied the policies and practices of companies representing three intermediary types (internet service providers, search engines, and social networking platforms) across ten countries. The three case studies highlight challenges and opportunities for different types of intermediaries in respecting and protecting online freedom of expression. The research showed that Internet intermediaries are heavily influenced by the legal and policy environments of states, but they do have leeway over many areas of policy and practice affecting online expression and privacy. The findings also highlighted the challenge where many state policies, laws, and regulations are poorly aligned with the duty to promote and protect intermediaries’ respect for freedom of expression. 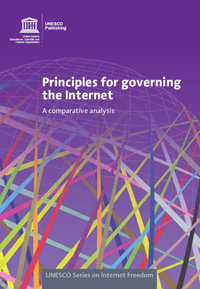 It is a resource which enables the assessment of internet intermediaries’ decisions on freedom of expression, by ensuring that any limitations are consistent with international standards. The research also recommends specific ways that intermediaries and states can improve respect for internet users’ right to freedom of expression. This rich material will be of great value to all stakeholders. This research also formed the foundation for a dedicated chapter in the publication World Trends in Freedom of Expression and Media Development – Special Digital Focus 2015. 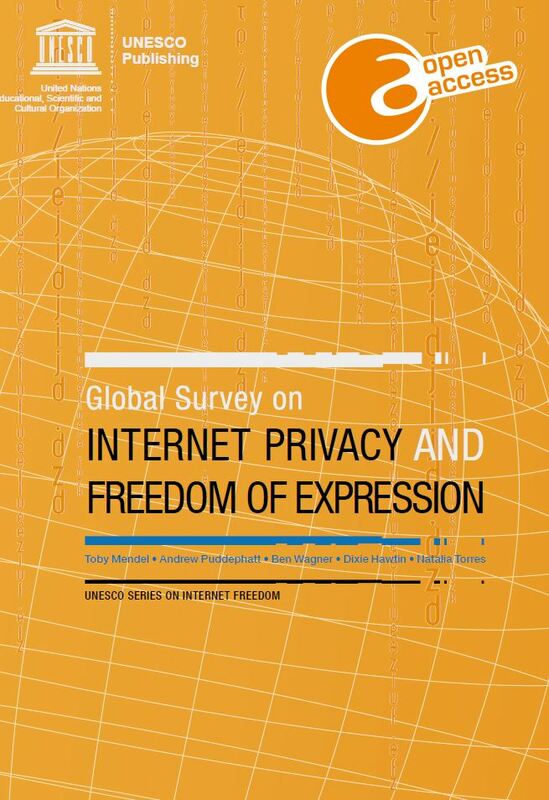 - overview of literature, background material and tools on international and national policy and practice on privacy and freedom of expression on the Internet.